A bookstore dedicated to self-published authors has opened in Florida – Gulf Coast operates very differently from a traditional bookstore chain or independent. Self-published authors rent shelf space for three months for (US) $60, plus a $15 set-up fee, close to what they might spend to exhibit a single title at a day-long book fair. They also handle stocking and restocking. In return, the authors receive 100% of every sale rather than 40% from a bookstore that sells their books on consignment. 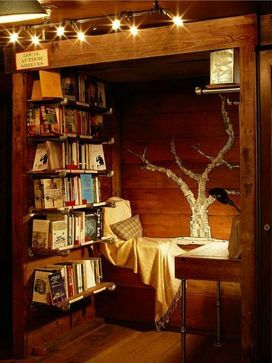 A bricks-and-mortar bookstore for self-published authors. Is this an idea whose time has come? Could it work in other tourist traps, say here in Southern Ontario? This entry was posted on April 24, 2015 by Alton Chapter in Writer's Ink News and tagged book purchasing, bookselling, bookstores, business of writing, self-publishing.